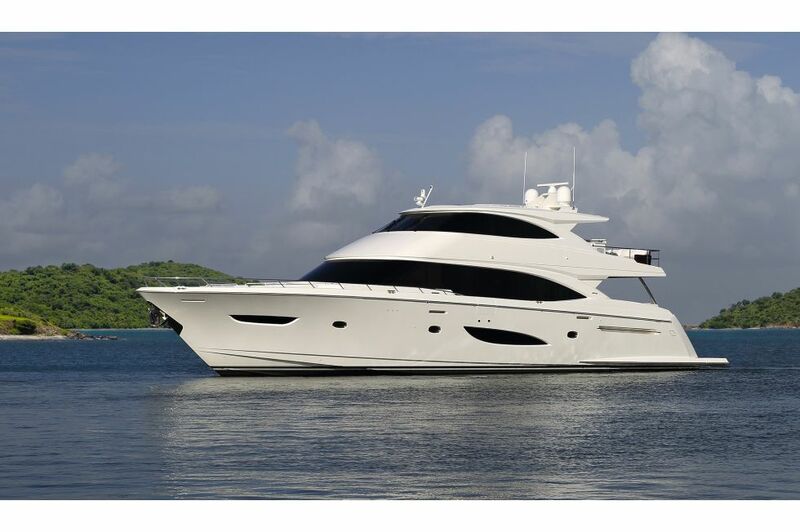 With engineering excellence, performance prowess and luxury accommodations, the 93 Motor Yacht has solidified the Viking Yacht Company's position as the finest builder of luxury motor yachts in the marine industry. 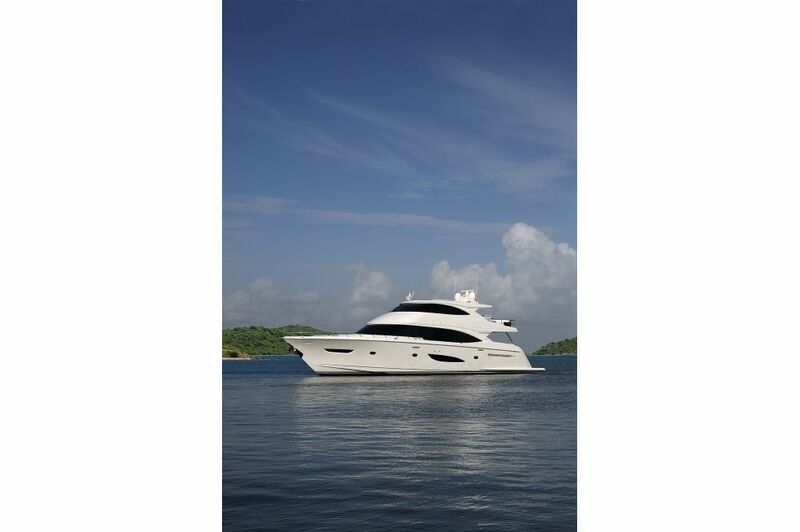 The recent world premiere of the 214,685-pound vessel marked the successful completion of a 2-1/2-year quest to build the largest-ever yacht since the company was founded in 1964. 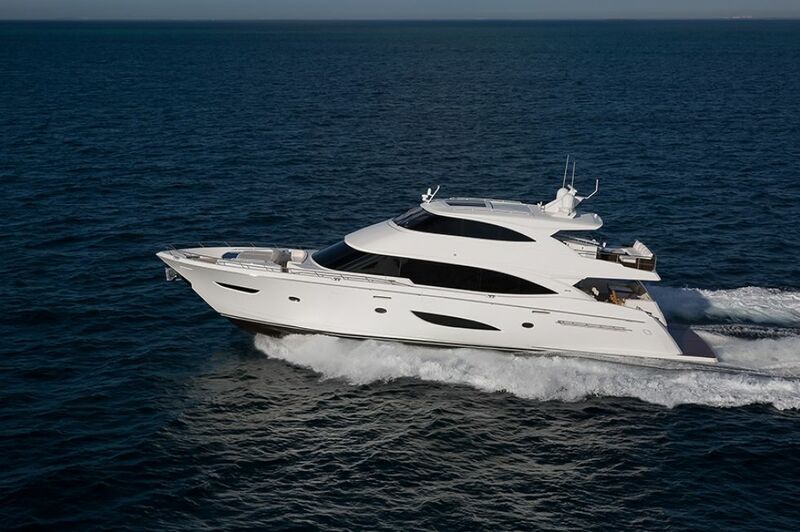 "We have a history of building ground-breaking boats, and never has this been so true as with the 93 Motor Yacht," says Viking President and CEO Pat Healey. 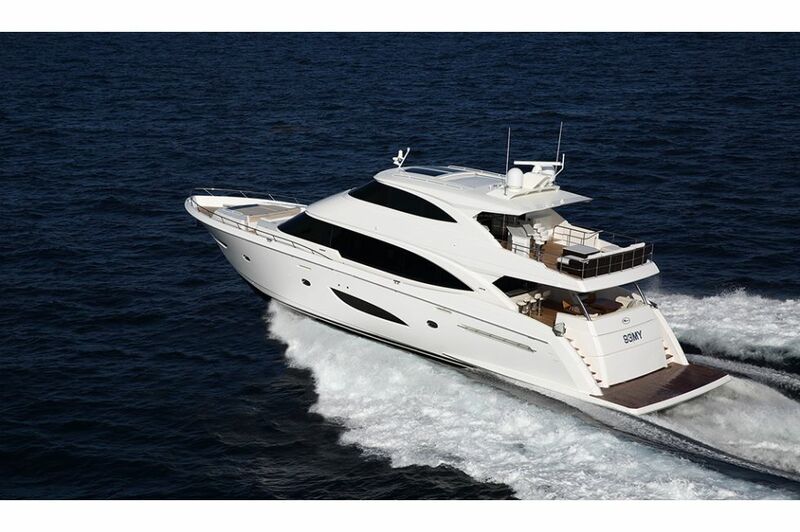 The tri-deck motor yacht, powered with twin state-of-the-art 1,945-hp MTU diesels, combines the performance of a convertible sportfish with the luxury and accommodations of a motor yacht. She tops out from 26.5-27.5 knots and cruises from 21-24 knots. The 93 MY runs fast, but she also has the legs for long-distance destination cruises, with a range exceeding 400 nautical miles at cruising speeds. 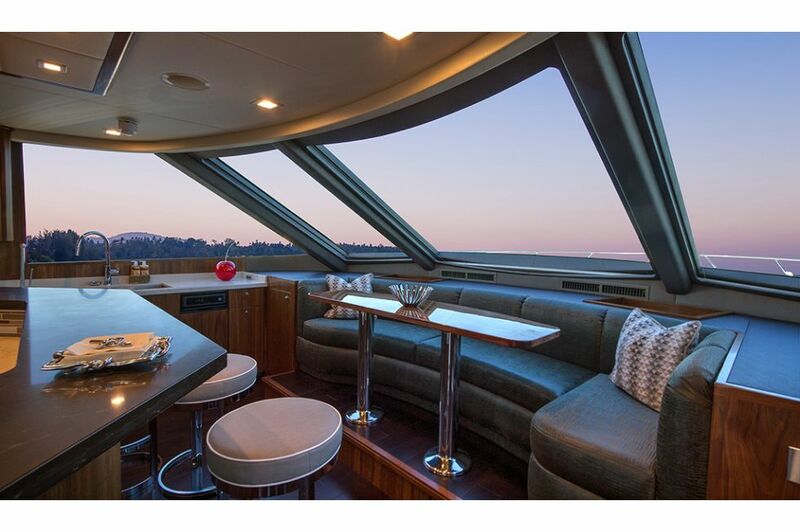 With a 24-foot, 4-inch beam, the vessel holds five staterooms and seven heads, two expansive salons and after decks, a huge forward galley, 12 televisions, storage for a tender and crew quarters for three. 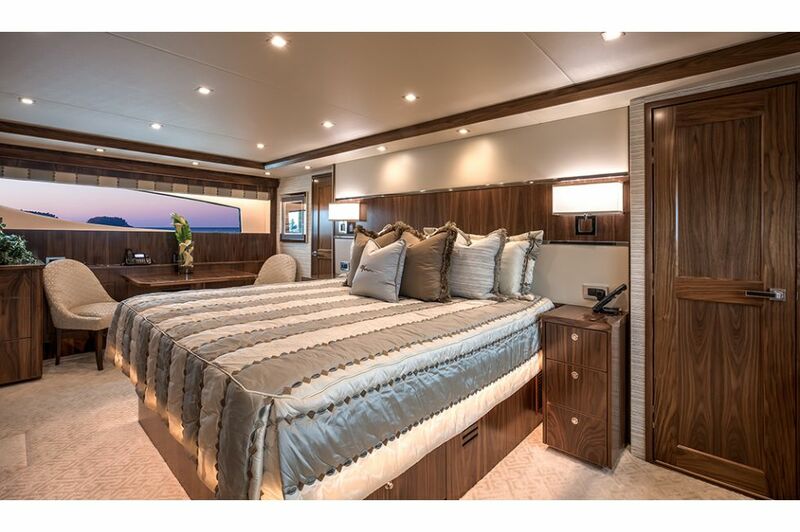 "Everything from the engineroom to the staterooms to the showers to the galley to the salon is big, accommodating and comfortable," says Pat. "In the U.S. and in all of the Americas people like big, and that's what we're giving them." 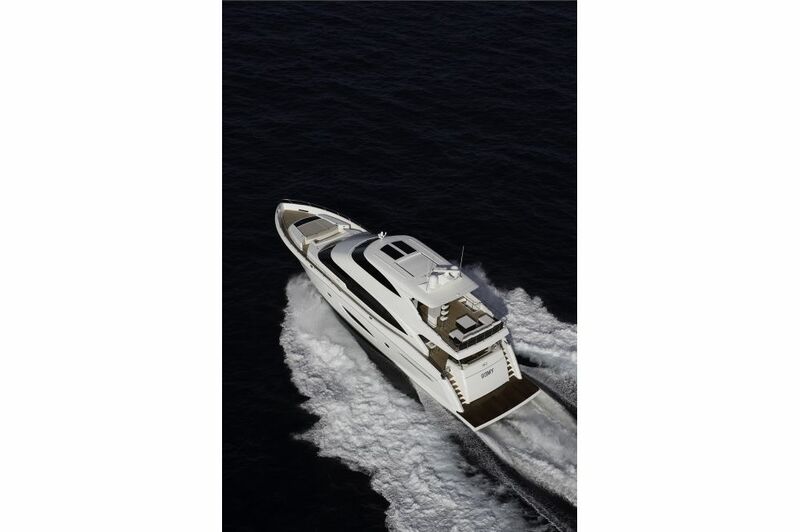 You'll be hard-pressed to find this level of engineering in any other motor yacht. In our industry-leading engineroom, our custom exhaust system serves as an example of our experience and attention to detail. 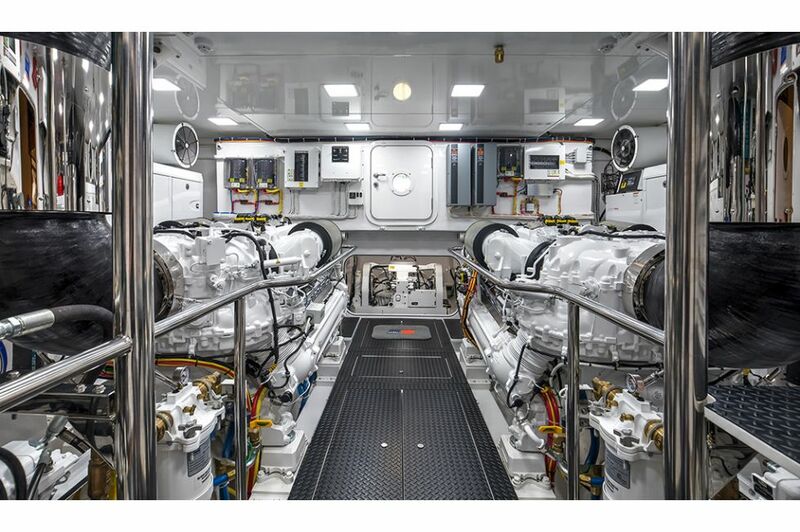 Painted with Awlgrip in bright Snow White for easier visibility and maintenance, the engineroom is equipped with technologically advanced but easy-to-maintain systems for engineroom ventilation, air conditioning, fire suppression, oil changing and centralized seawater and freshwater. 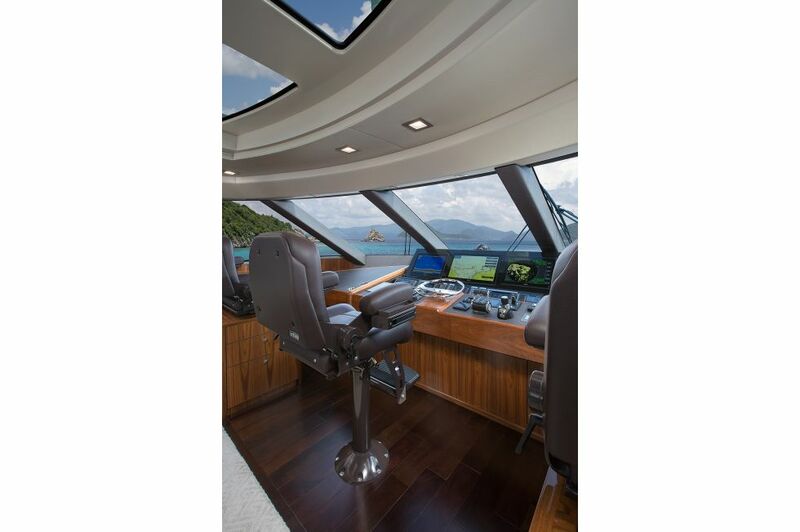 The enclosed bridge, accessed from the salon and lower after deck, showcases an impressive center helm with a Stidd helm chair and flanking Stidd companion seats. 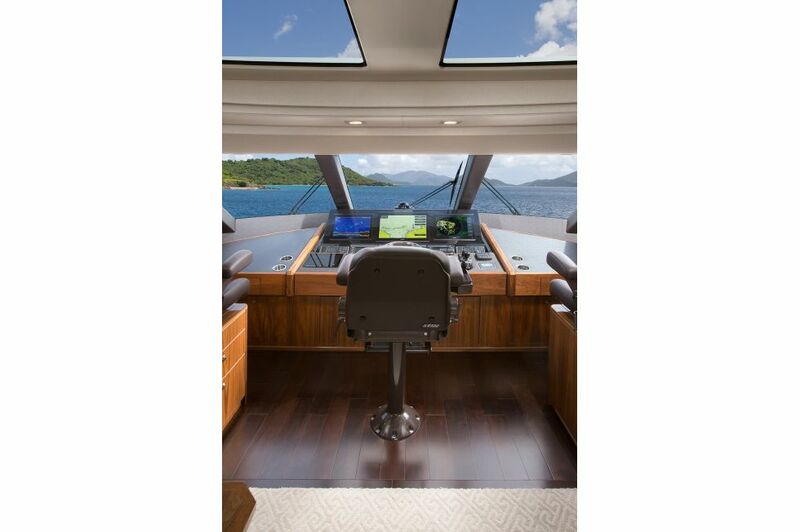 Navigation and communication systems from the Viking subsidiary Atlantic Marine Electronics assure turnkey delivery. Open the large powered sunroof to invite in the sunshine and sea breeze as you relax in the L-shaped sofa that faces a pop-up flat-screen HD TV. A day head adds to the overall convenience of this unique area. 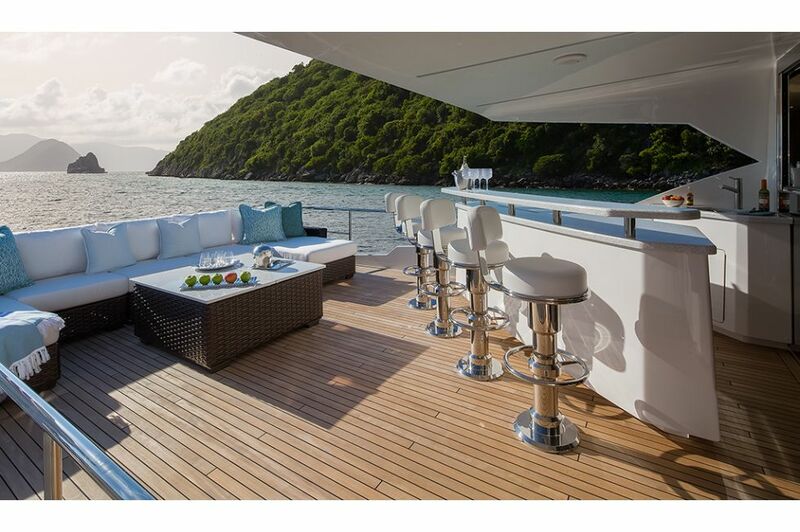 Enjoy the outdoors on the expansive forward and aft decks. 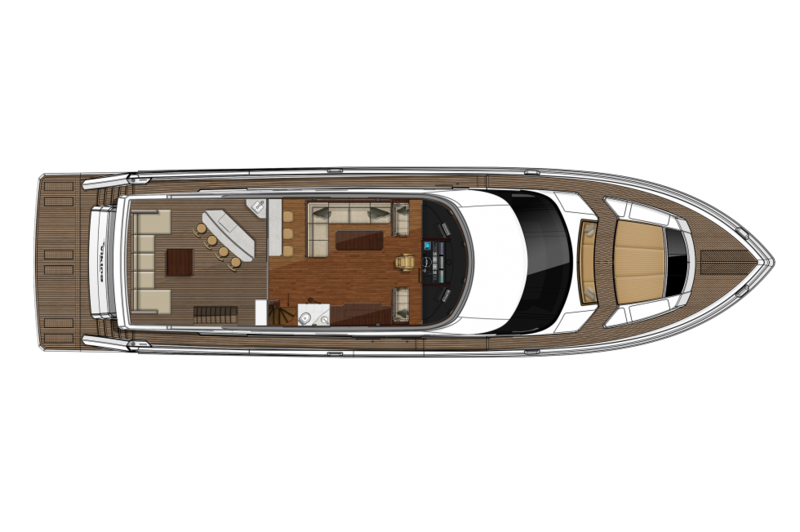 The foredeck is loaded with comfortable padded seating and lounges that sit atop storage compartments, easily accessed with gas piston-assisted hatch lids. 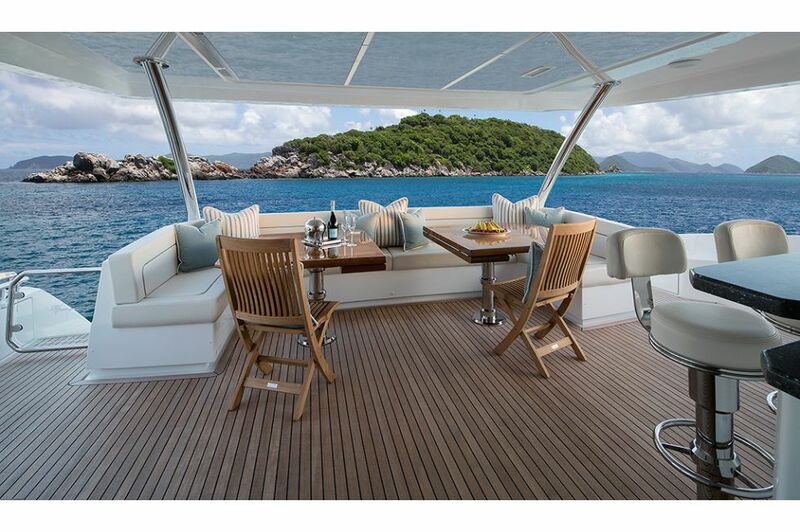 The aft deck dinette includes a U-shaped settee and twin solid teak leaf tables that allow you to create one single, large dining table. Forward, there's a bar with an L-shaped counter, three polished stainless steel bar stools, a fold-out television, refrigeration, an ice maker, a storage cabinet and a sink. 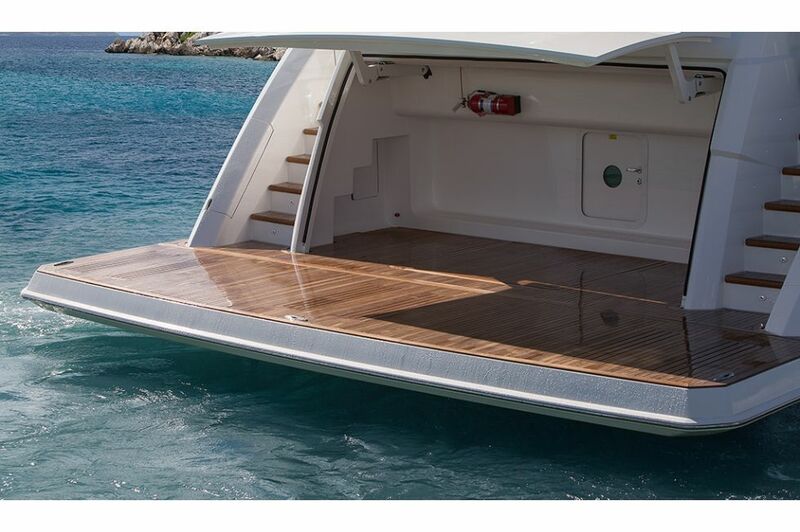 Dual staircases on the port and starboard sides lead down to the hydraulically powered swim platform, which provides access to the garage that can house a dinghy or other small watercraft. 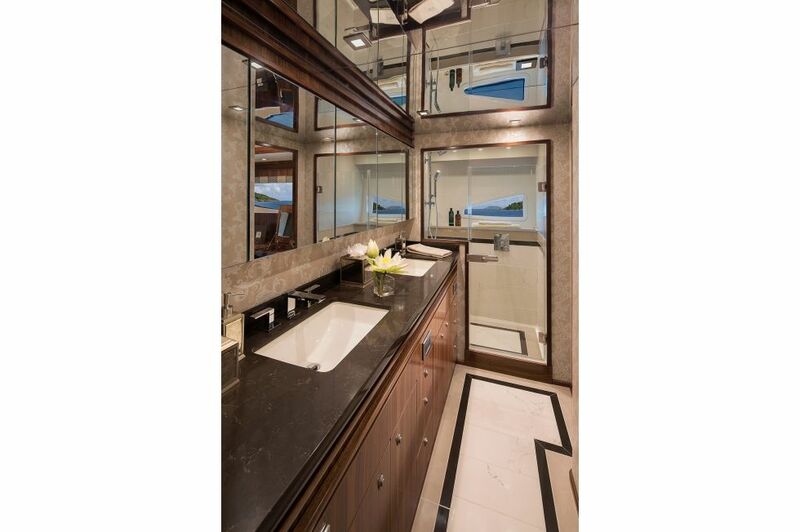 Enter the salon through polished stainless-steel framed sliding glass doors. 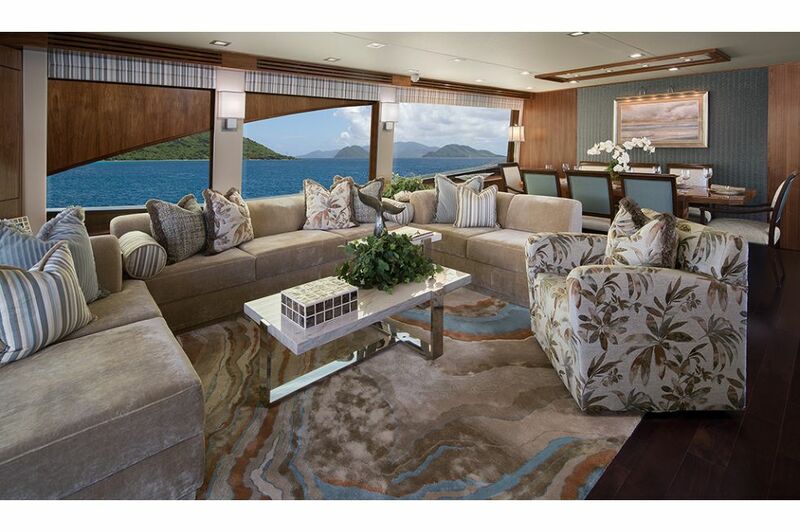 The salon offers a U-shaped seating area with two end tables, a cocktail table, a home entertainment center with pop-up 65-inch flat-screen HD TV and a formal dining area for eight. 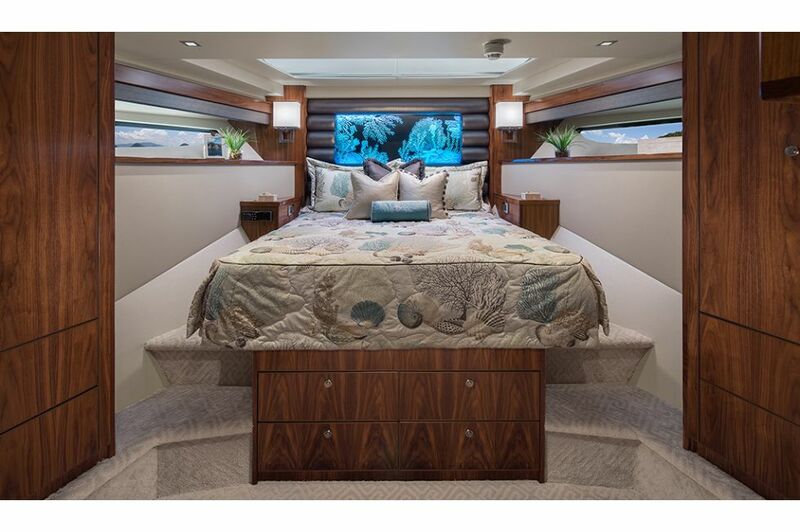 Starboard-side hydraulic-powered sliding doors lead to a teak-covered sidedeck, and a powered balcony door that opens outboard with the touch of a button. The galley, forward of the salon, has the pleasant atmosphere of a country kitchen. Four fixed bar stools with footrests rim an island Caesarstone-topped counter. 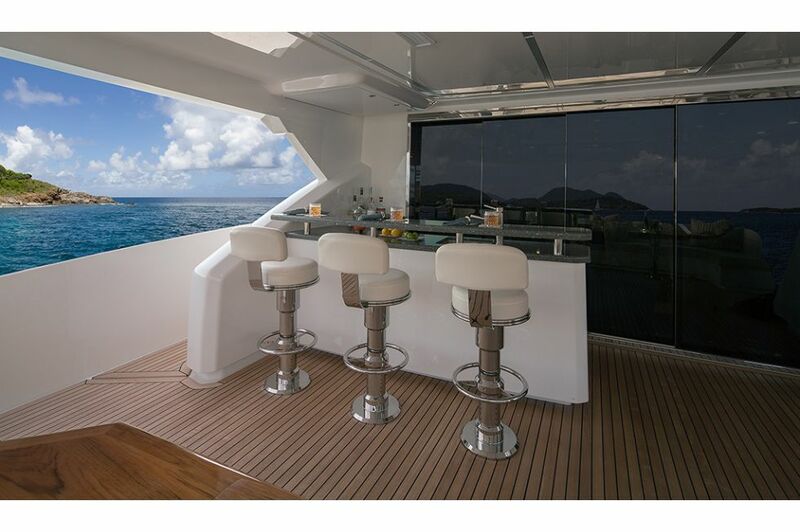 Just aft of the windshield, there's also a forward banquette with a table. The latest appliances and conveniences are easily accessible and include a full-size 7-foot-tall Sub-Zero refrigerator/freezer, microwave/convection oven and a four-burner cooktop with a conventional oven below. 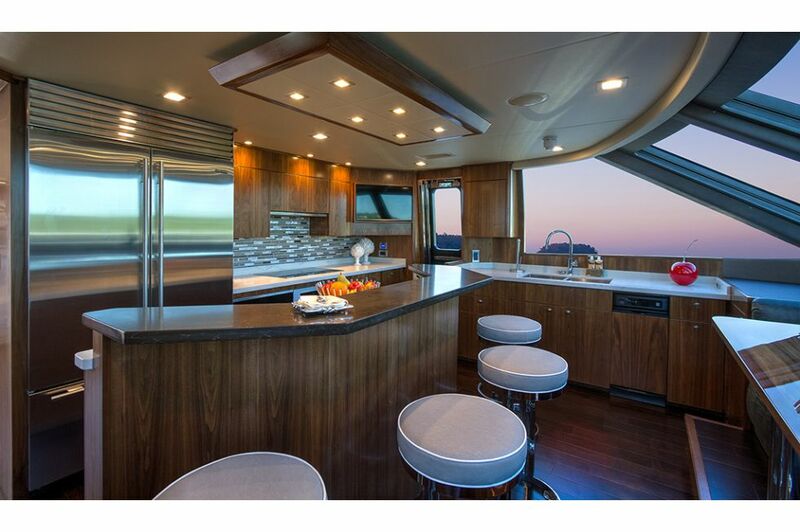 A 32-inch flat-screen TV fixed outboard of the cabinetry on the port side can be viewed from both the bar and the banquette. A day head is just a few steps away on the starboard side. 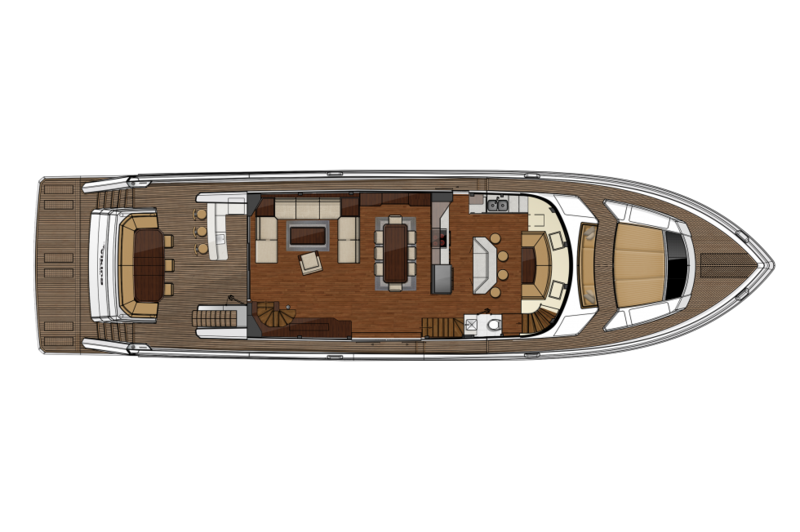 You'll find spaciousness and elegance throughout the five-stateroom layout below. 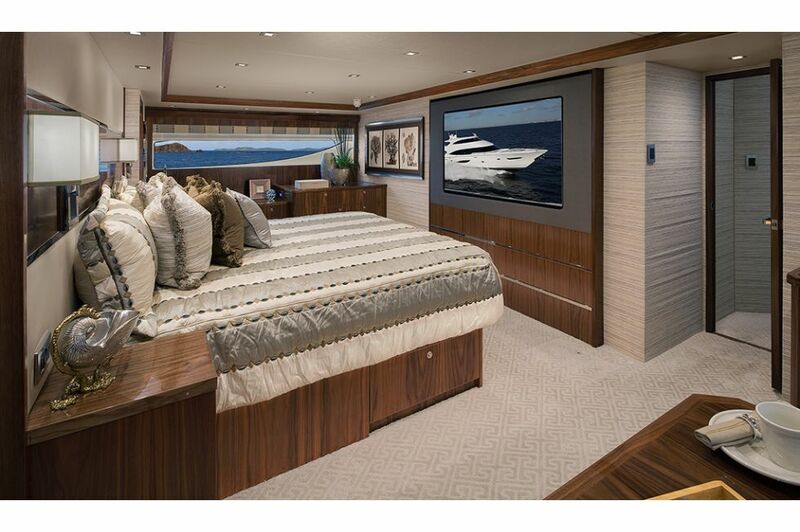 The privately accessed full beam master suite is royally appointed with designer touches, including plush wall-to-wall premium carpeting, a king-size bed, a surround-sound entertainment system with 65-inch flat-screen HD TV, a walk-in closet, a port-side vanity and a starboard table with two chairs and an ensuite head. 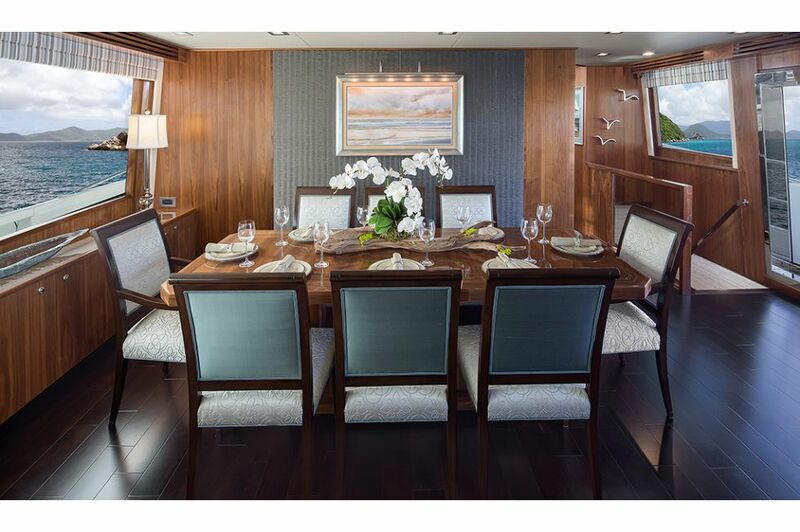 Generous amounts of natural light fill stateroom, accentuating the high-gloss walnut woodwork. 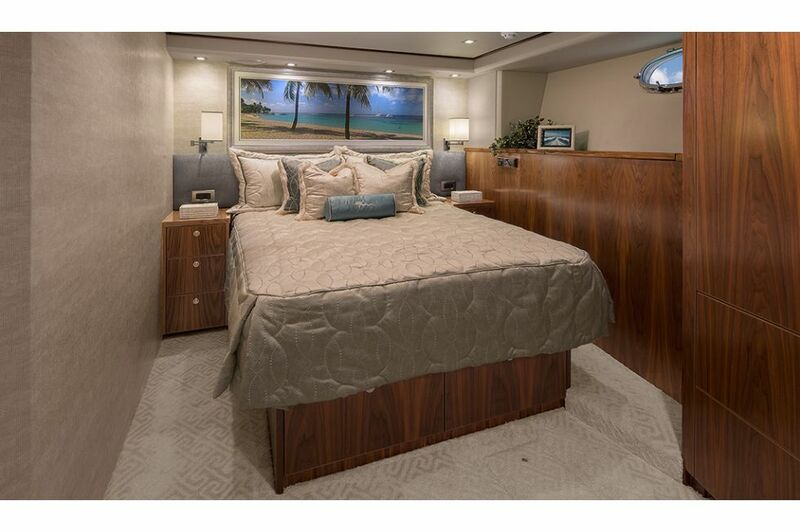 Four additional staterooms will ensure utmost comfort and privacy for family and guests. 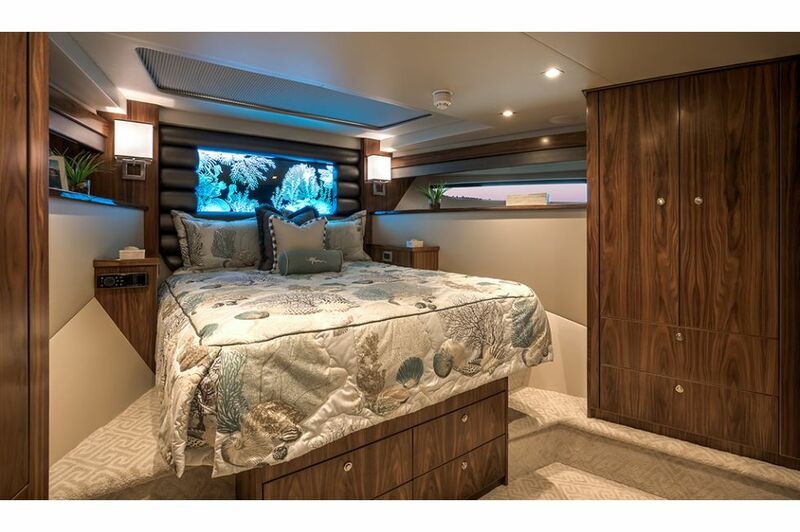 The forward VIP stateroom has a queen walk-around bed with decorative Channell glass ensconced in the headboard, an overhead skylight, a maple-lined hanging locker and an ensuite head. 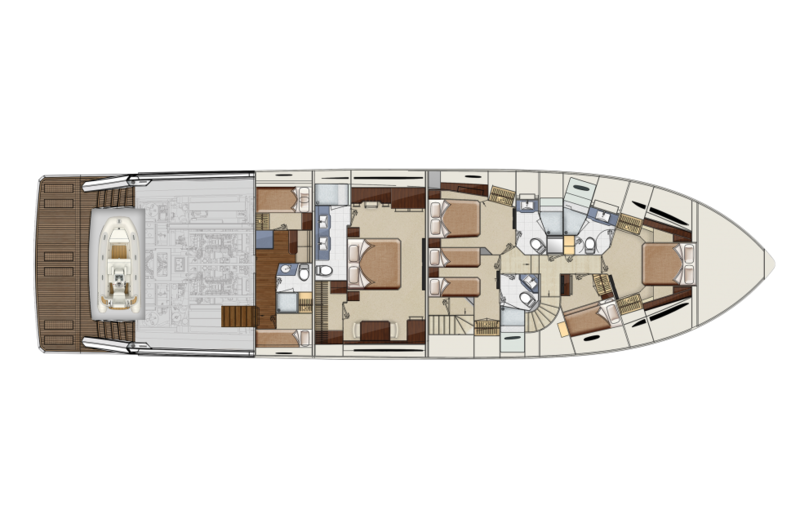 Crew quarters discreetly reached from the after deck include a pair of staterooms, a head with shower and a galley with a dinette.